The Medieval Feudal system, feudalism, worked well for many hundreds of years. The decline of feudalism occurred due to a number of events which occurred during the Medieval times and era. Feudalism was based on the division of land by the king to nobles and vassals in return for their military service under the Feudal Levy. Land was the main source of the economy and was dependent on the peasants who worked on the land. The decline of feudalism came when rich nobles were allowed to pay for soldiers rather than to fight themselves. Life changed and Mercenaries were hired from all over Europe. 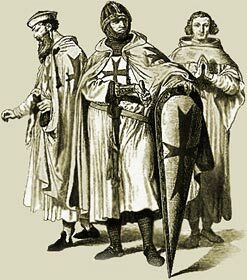 The Mercenaries had few allegiances, except to money, and these paid fighting men were feared throughout Europe. The threat of the Mercenaries led on to the employment of professional, trained soldiers - the Standing Armies and ultimately the end of Medieval Feudalism in England. The Medieval Times website provides interesting facts, history and information about these great people and important historical events which scatter the Medieval History books including Decline of Feudalism. The Medieval Times Sitemap provides full details of all of the information and facts about the fascinating subject of the lives of the people who lived during the historical period of the Middle Ages. The content of this article on Medieval life and times provides free educational details, facts and information for reference and research for schools, colleges and homework for history courses and history coursework.